Finding an exceptional cover designer may be the hardest part of publishing any book. I would put this at a higher importance than the hook (page one). Why? Simply for this reason alone: Your hook on page one draws readers into your book. It keeps them reading until the very last page. You have designed your book with plot twists, action and larger-than-life characters. All of this is going to keep your reader’s attention. But what’s going to get them to pick your book over all the others? Whether your book is online or in a local store, it’s bound to be among a sea of other books. What makes the reader stop and look at your cover? Every so often I go to the bookstore or library and just look at book covers. Some captivate my attention while do not rise up to their competition. If you plan on publishing a book, don’t overlook this. It’s going to impact your sales. You are the author at the end of the day. Your name is going to appear on the front cover. Don’t be afraid to express your ideas to your cover designer. Most cover designers will work with you. They’ll take your recommendations and strive to meet each of them. A good majority of cover designers, too, understand the niche for the book cover which they’re designing. If you’re writing a mystery or thriller, for instance, the book cover should look action-packed. If you’re writing a romance, then pack romance onto the cover. Text and a general background works with most non-fiction books. You get the idea. If you don’t know what you want, then brainstorm with your cover designer. Do they respond right away when you send a message? Or, do they take a few days? The answer tells you how serious they take you as a client. It may be difficult to always answer an email right away, but they should get back to you within 12-24 hours. This is a respectable amount of time to expect a response. Once a day and half has gone by, send a follow-up email and then leave at that. We all get busy so give them the benefit of the doubt. But if they don’t respond within a week’s time, follow up again. You want to make sure they are doing the work. How well do they know what occurs within your book? A good cover designer should always ask questions. On the contrary, if you have a long book, it may be a good idea to send them a sample of it. This gives the designer an opportunity to comprehend all of the characters, the setting, the plot and so forth. Some novels are complex. Historical novels may be this way. So much research goes into writing that the author finds it difficult to describe it. You can send your cover designer a sample through Google Docs and not allow them to make changes. Sending a sample specially helps if you (the author) are having difficulty coming up with a cover idea. Do they keep their deadlines? Cover designers generally work under a specific deadline. It’s the same amount of time for each book cover, while they may extend it if you want extras (such as the Photoshop file). On sites such as Fiverr.com, people have the opportunity to rate cover designers. While they don’t always say if they met their deadline, chances are great that they hit their deadline each time. You want a reliable and trustworthy cover designer. This is where research on your behalf needs to take place. Read all the reviews for your chosen cover designer. Were they late delivering the order? Give them the benefit of the doubt on the first few reviews, but after that move on to someone else. Do they offer revisions and refunds? Finally, what happens if you’re not satisfied? 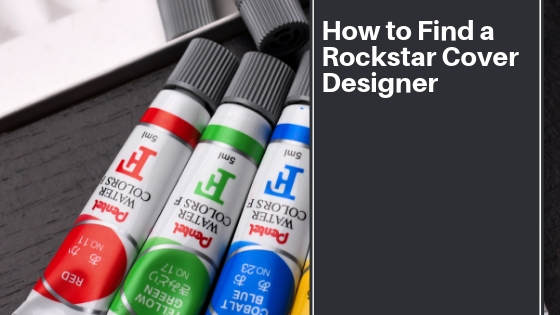 Any rockstar cover designer will offer a revision, a refund or both. Some cover designers will work with you until you have the exact cover which you have envisioned from the beginning. This is how you know you got someone that knows the industry well. They are working hard not for your money, but to see you succeed. If your cover designer doesn’t offer revisions or refunds, then go find a cover designer whom is trustworthy. Not offering either of these tells the client that the cover designer expects the customer to always be happy. And if that is that is case, terrific. But you don’t want to end up with something you did not intend to get.